The memorial to the Great Irish Famine and the young women who came from the workhouses of Ireland to Australia between 1848 and 1850 on a special emigration scheme is the vision of the Irish community in Sydney. 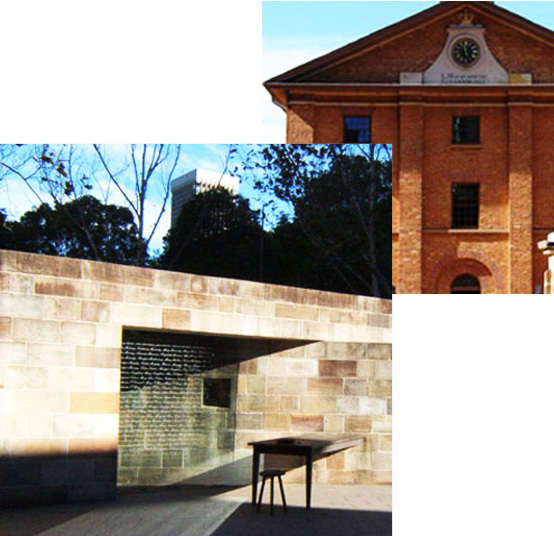 The Irish Famine Monument was commissioned by the Historic Houses Trust of NSW (HHT) [name changed to Sydney Living Museums in 2014] and funded by donations from Government bodies, the Land Titles Office and the Irish Community. It was inspired by the call of the President of Ireland, Mary Robinson during her Sydney visit in 1995, that all Irish communities remember the Irish Famine and strive to alieviate poverty in the world today.